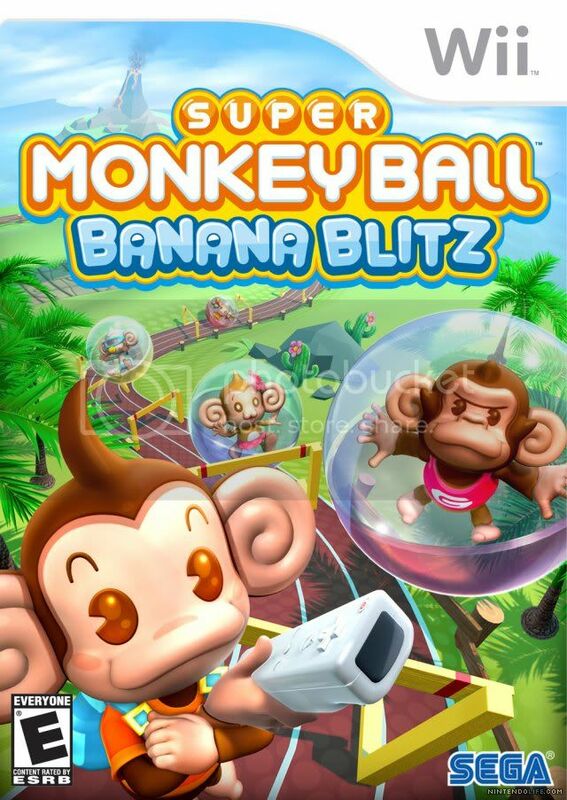 Let’s preface this with a simple notion: this is a Monkey Ball game. If you’ve played any iteration of this series, you know what you’re in for. A labyrinth-like tilting game. And if you have played the later versions of the game, you know they come with minigames. With those two things in mind, it seems like a perfect fit for a Wii game. So how did it turn out? This game is filled with that same childlike charm the series always contains. Seeing little monkeys in a ball rolling around, golfing by hitting themselves, flying around and taking the other monkeys out just about always brings a smile. People that are keen on puzzle games like Marble Madness and such will definitely find solace here. The controls are simplistic; most of the games require the tilting of the Wiimote and pressing the A button. So in that respect, it’s easy to pick up and play for people of any age. The stages also get progressively harder (obviously), but it’s definitely a good thing. You’ll find challenges in grabbing all the collectibles and speeding through the level, finding shortcuts and even warps. And how often do you get to fight a boss in a game like this? Definitely a cool story mode. Controls. That is all. It ruined the game for me. Simplistic as they are, the fact that you are forced to use a Wiimote and not a Gamecube controller was a huge mistake. The actual story of the game’s controls weren’t too bad, but the minigames… OOOHH the minigames. I wanted to kill myself. I was playing with my brother, and I literally threw the controller I was so angry. I don’t know if it just didn’t get properly Q&A;’d, if the controller I was using sucked, or if the Wii just blows nuts with this game. I’ve never had such an issue using Wii controls. I played Wii Sports Resort last night with some friends for the first time and beat them all at golf, bowling, frisbee, archery… all on my first try. This game… we tried golf, and I couldn’t even understand how to hit the ball. I’d be getting ready with the backswing and the monkey would hit the ball. Or I’d swing as hard as I could, and it’d not even register. It was totally random with how it picked up the IR movement. In another minigame, the screen wouldn’t pan down no matter what I did. I just got stuck as my brother slaughtered me. Absolutely awful precision. Is it really worth my time? Well, if you like the series, I’d say you should play it for the main story. But don’t go looking for any amount of fun in the multiplayer unless you enjoy breaking your accessories. I think the reason they put the multiplayer games in this one was to make Nintendo more money since so many people will snap their accessories in half.